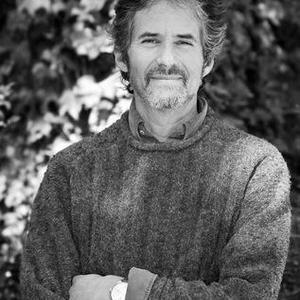 James Horner (born August 14, 1953) is an American composer, orchestrator and conductor of film scores. In a career that spans over three decades, Horner has collaborated with some of Hollywood's heavyweight film directors and producers, including Steven Spielberg, Ron Howard, Edward Zwick and James Cameron, and has composed many notable scores, including An American Tail, Cocoon, Braveheart, Apollo 13, Titanic, Avatar, Black Gold, and most recently, The Amazing Spider-Man. Born James Roy Horner in Los Angeles, California, Horner learned to play the piano at the age of five. His early years were spent in London, where he attended the Royal College of Music. He subsequently attended Verde Valley High School in Sedona, Arizona. He received his bachelor's degree in music from the University of Southern California, and eventually earned a master's and started working on his doctorate at the University of California, Los Angeles where he studied with Paul Chihara, among others. After several scoring assignments with the American Film Institute in the 1970s, he finished his teaching of music theory at UCLA and turned to film scoring. Horner's first score for a feature film was Up From The Depths (1979, a joint effort with composer Russell O'Malley. Spending the early parts of his career scoring low-budget horror and science fiction films, he eventually formed a working relationship with director and producer Roger Corman, and would go on to compose the score for Corman's Battle Beyond The Stars; parts of this score would be re-used in many Corman productions to come. His first major film score was The Lady in Red (1979), garnering attention from Hollywood. With the score for Star Trek II: The Wrath of Khan, established Horner as a mainstream composer. Throughout the 1980s, Horner composed scores for high-profile films such as Star Trek III: The Search for Spock, Cocoon and Aliens, the latter garnering Horner's first nomination for an Academy Award; Horner has been nominated nine times since. Throughout the late 80s and early 90s, Horner composed scores for children's films (particularly those produced by Amblin Entertainment), amongst which were An American Tail (1986), for which he was nominated for a Grammy Award (the song "Somewhere Out There" won the Grammy for Best Original Song) as well as an Academy Award; The Land Before Time (1988), and We're Back! A Dinosaur's Story (1993). 1995 saw Horner produce no fewer than six scores, including his commercially successful and critically-acclaimed works for Braveheart and Apollo 13, both of which earned him Academy Award nominations. Horner's greatest financial and critical success would come in 1997, with the score to the motion picture, Titanic, which was greatly influenced by the music of Clannad. The album became the best-selling primarily orchestral soundtrack in history, selling over 27 million copies worldwide. The score would later win Academy Awards for Best Original Dramatic Score and Best Original Song ("My Heart Will Go On", performed by Celine Dion), as well as Golden Globe Awards for the same two categories. In the 2000s, Horner received Academy Award nominations for A Beautiful Mind (2001), and House Of Sand And Fog (2003). In 2009, Horner was nominated for every major award for the score of Avatar, but ultimately, all were lost to Michael Giacchino's Up, Horner has cited the composition for said score as the single most difficult artistic challenge of his career, requiring two years of devotion to this sole project. Avatar has since surpassed Titanic, also a James Cameron-Horner collaboration, as the highest-grossing film of all time. Subsequent to the worldwide success gained from Titanic, Horner has preferred to be involved with smaller projects which has enabled him to develop a quieter, more minimal style of music, examples of which can be heard in independent films such as Iris, The Chumscrubber, Apocalypto, The Life Before Her Eyes, and the upcoming 2011 film The Song of Names. While one of the most critically and commercially successful film composers in the world, Horner has been criticized for transposing hooks, motifs, or passages from his own works as well as that of others. This remains a point of debate between supporters and detractors of Horner's work.